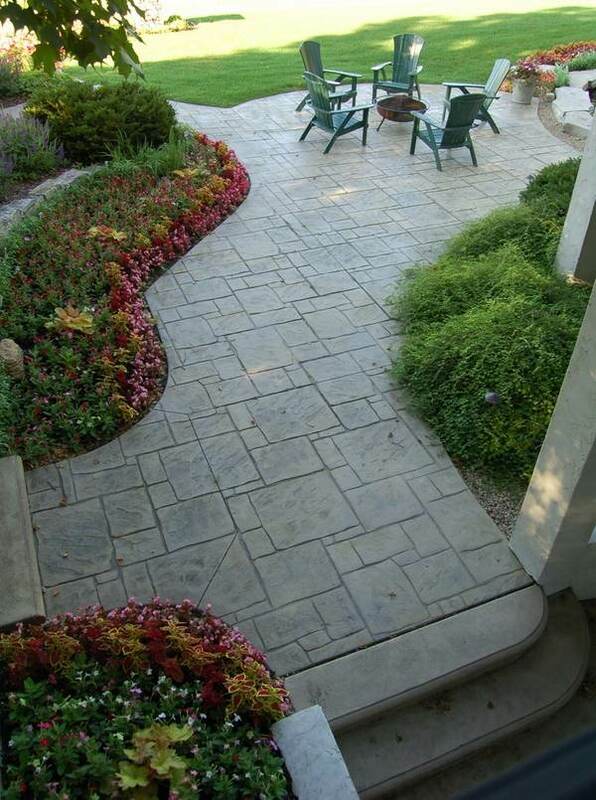 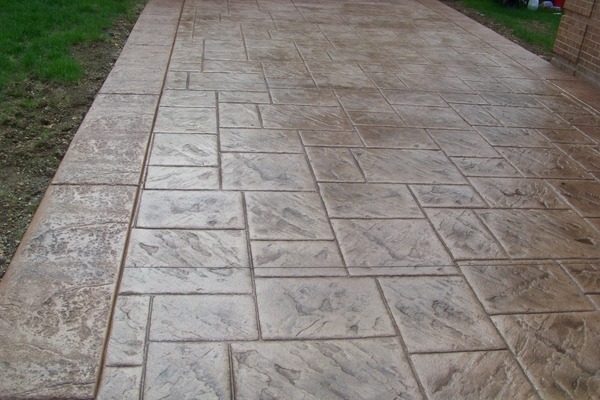 Stamped concrete, also referred to as patterned or imprinted, is especially designed to cover outdoor areas like driveways, patio decks or walkways. 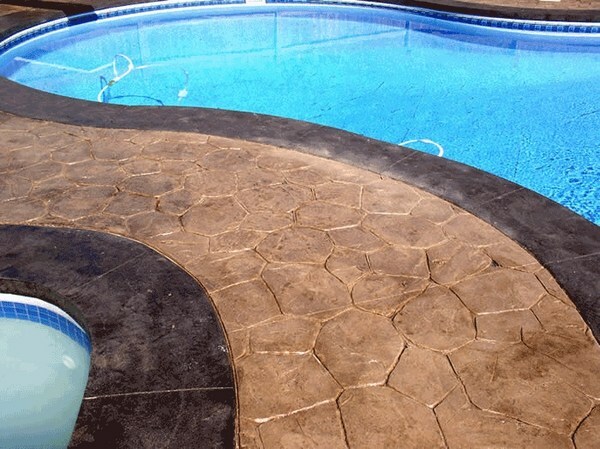 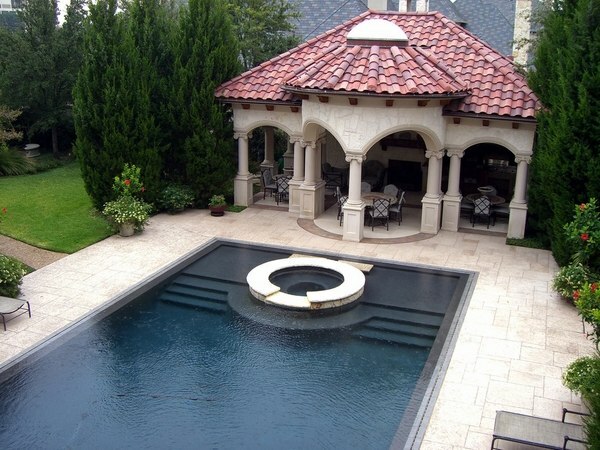 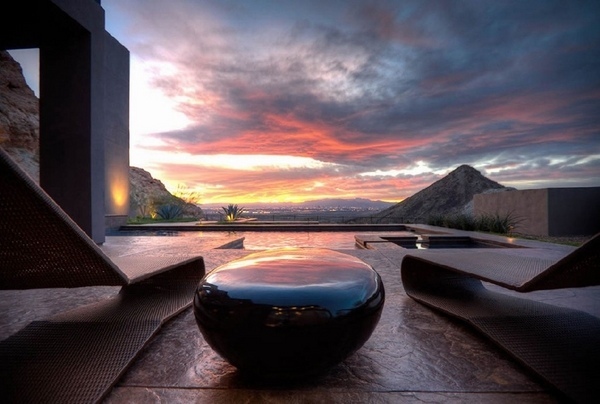 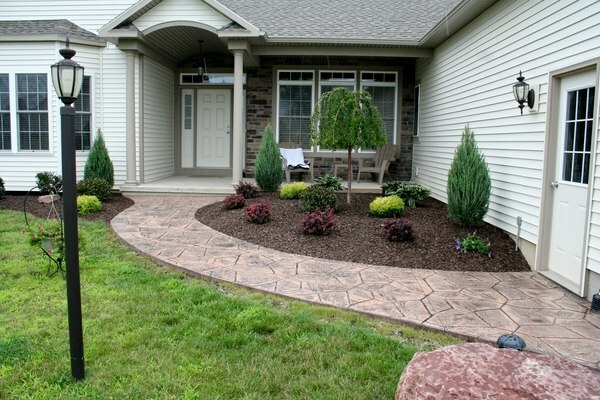 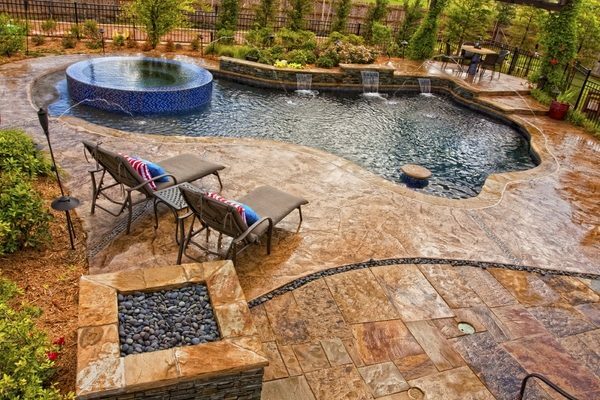 The decorative concrete is getting more and more popular as it offers a wide variety of patterns, it is a strong and durable material and most important – weather resistant. 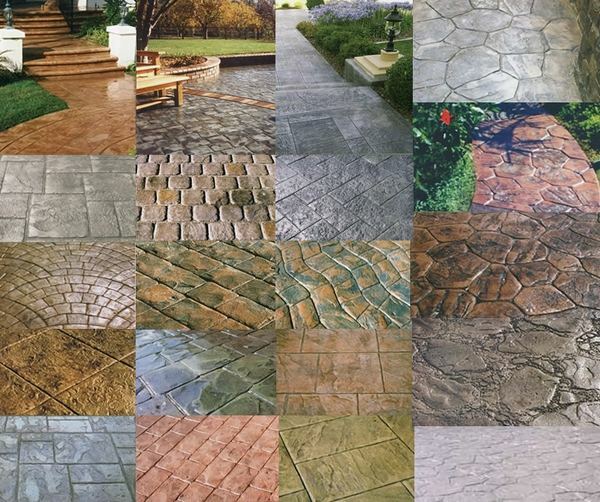 Despite the climate conditions – hot, rainy or cold, this material does not peel or flake and will always look beautiful. 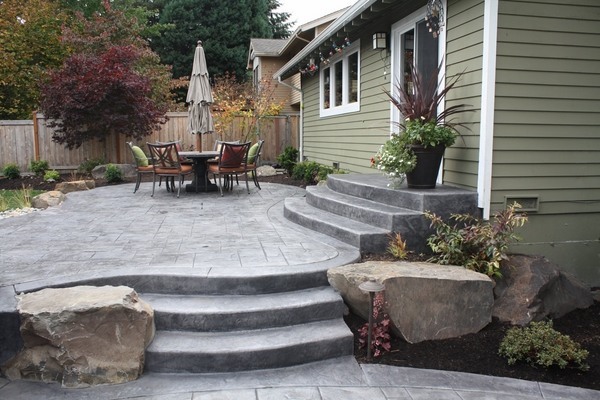 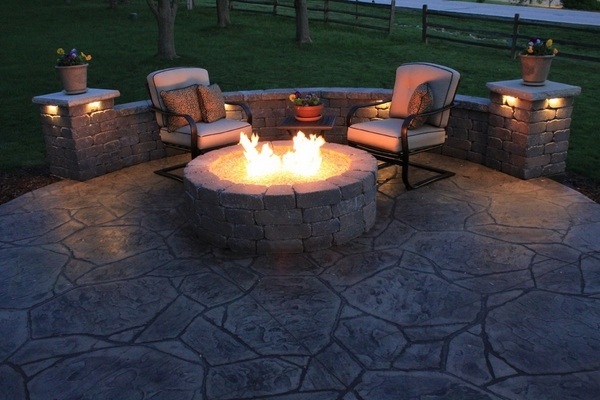 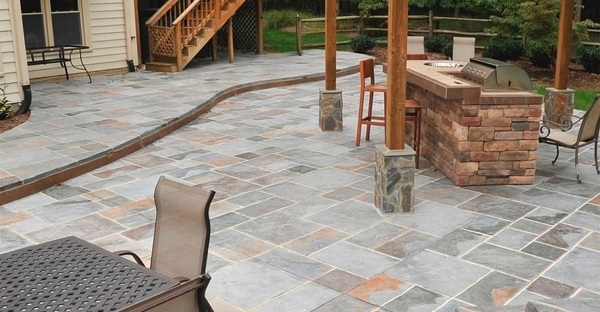 Stamped concrete can add a unique look to your patio. 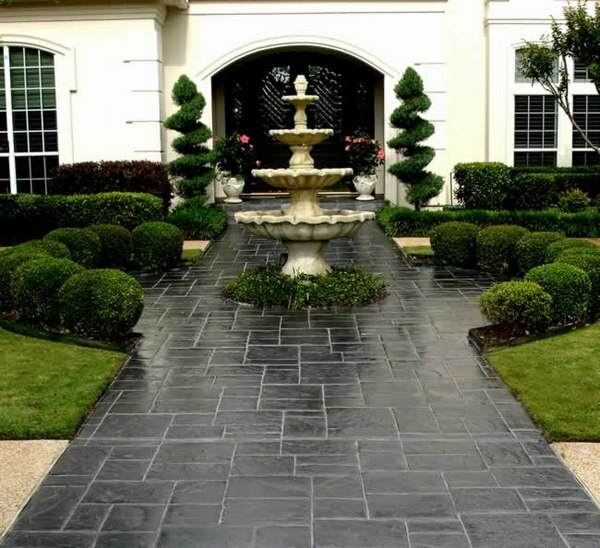 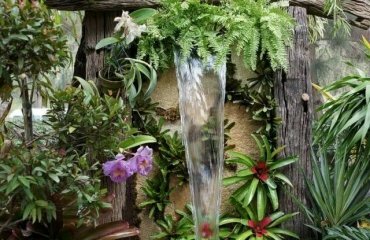 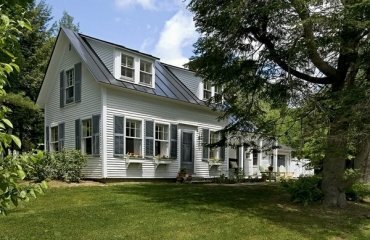 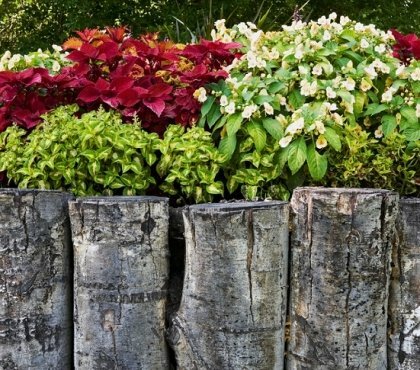 It is a cost effective material for the exterior of the house and nowadays many homeowners choose it for its functionality and the decorative values. 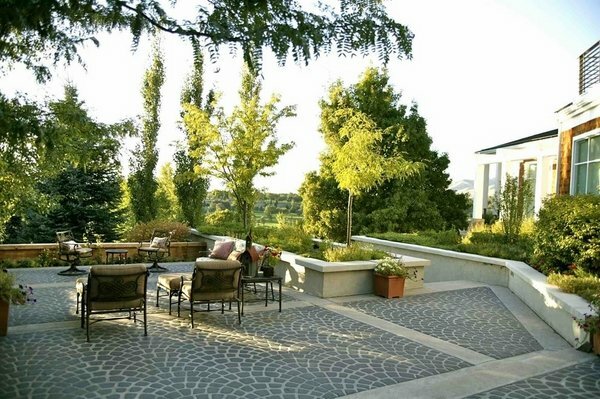 Traditional materials like brick, pavers, or cobbles look great, but due to the fact that their surface forms many interlocking pieces, they are susceptible to changes in the underlying surface. 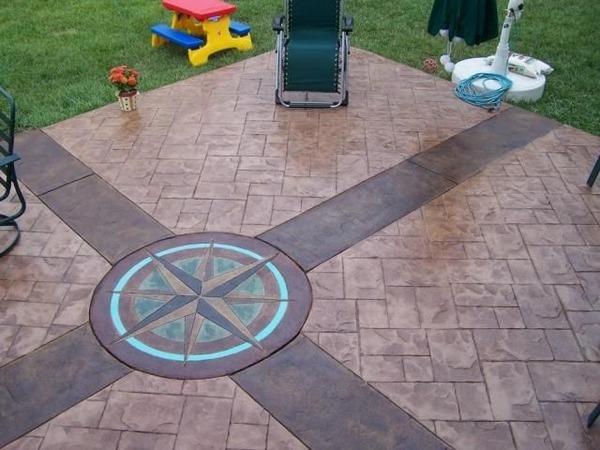 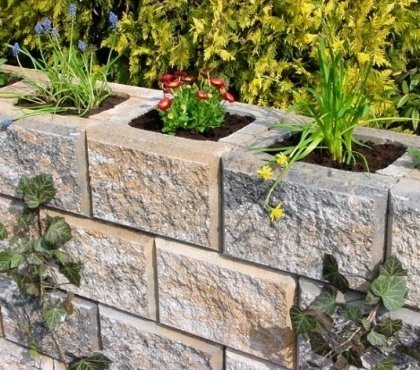 With concrete stamps you avoid that and you may choose various patterns- brick, slate, flagstone, stone, tile or wood. 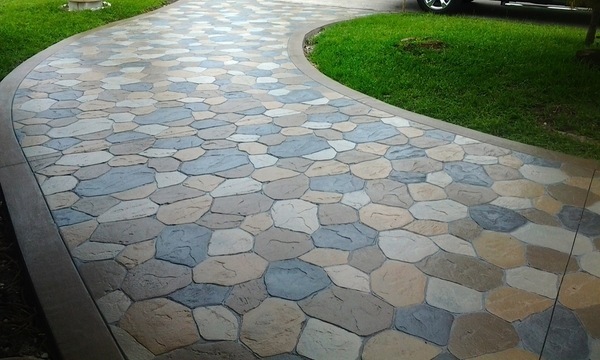 In this way your flooring will be unique and wonderful. 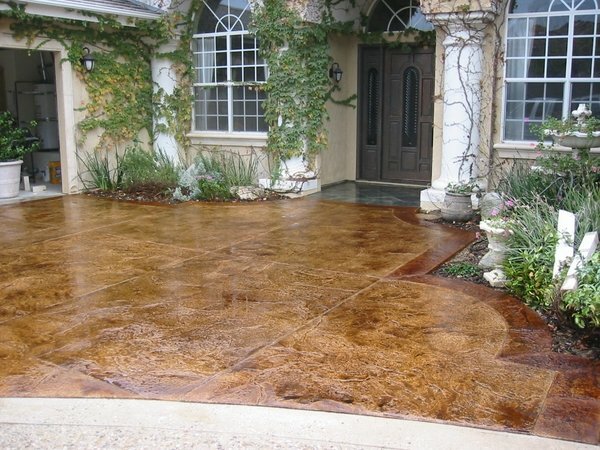 You could add outdoor decorative elements like fountains or incorporate steps and increase the decorative value of your concrete floor. 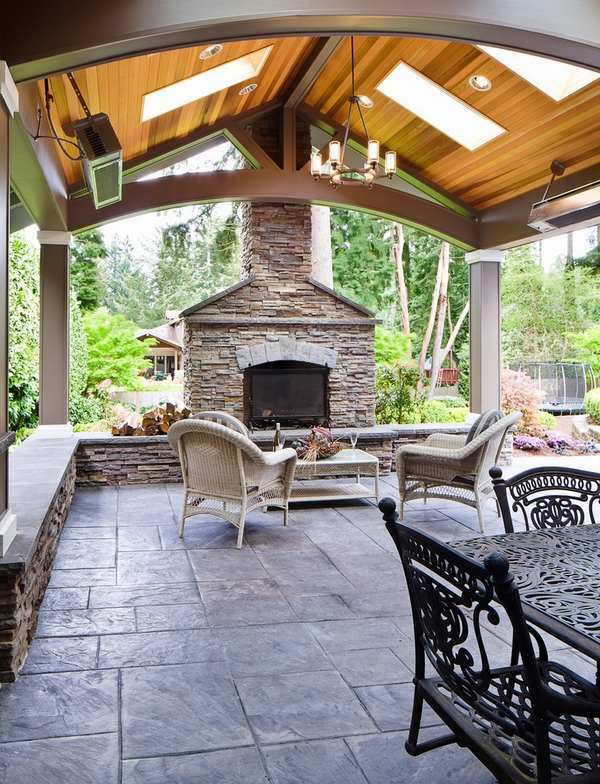 The possibility to add a pigment makes it a perfect choice to add style to your home. 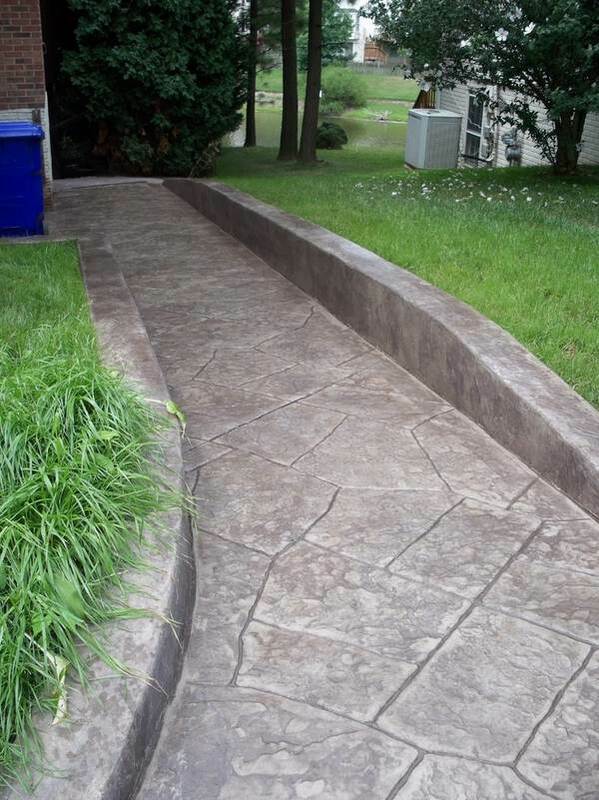 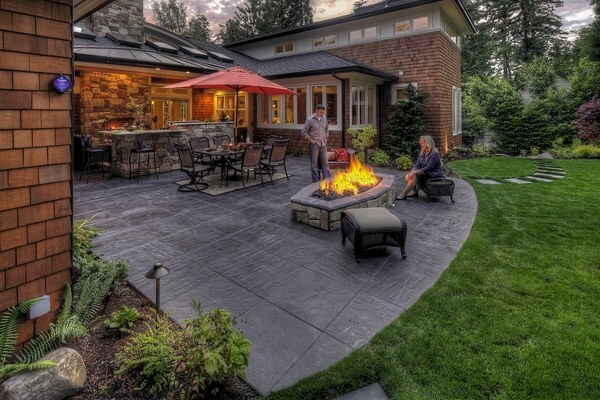 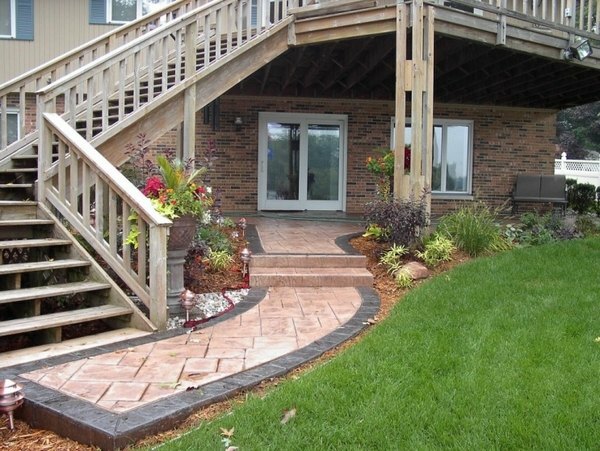 How is stamped concrete applied? 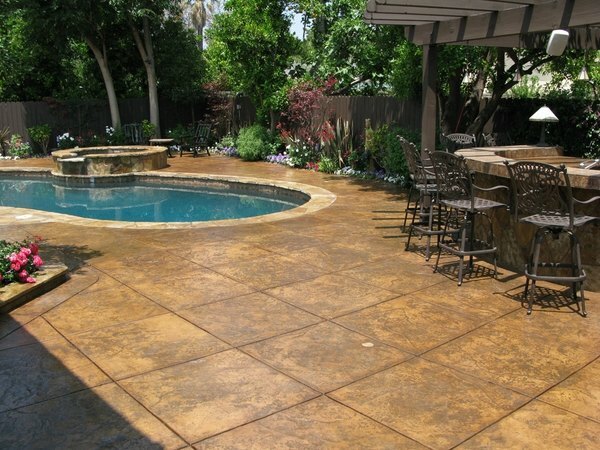 It is recommended that you trust to professionals as the process of applying stamped concrete involves pouring slab concrete and then impressing the patterns and textures onto it before it is completely dry. 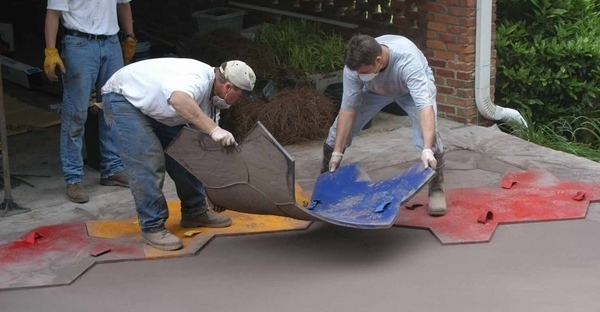 The installation process takes time but in return, the material is long-lasting and easy to maintain. 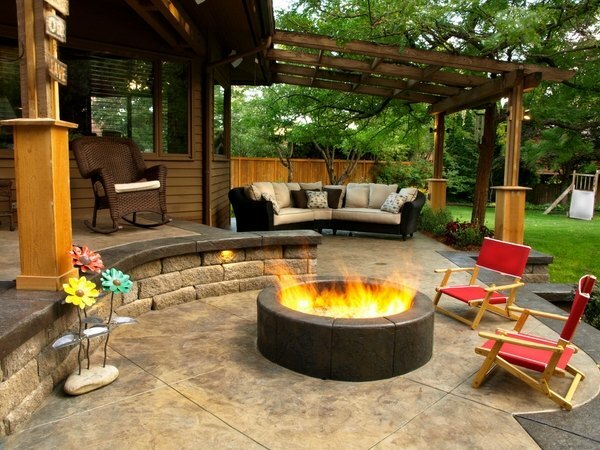 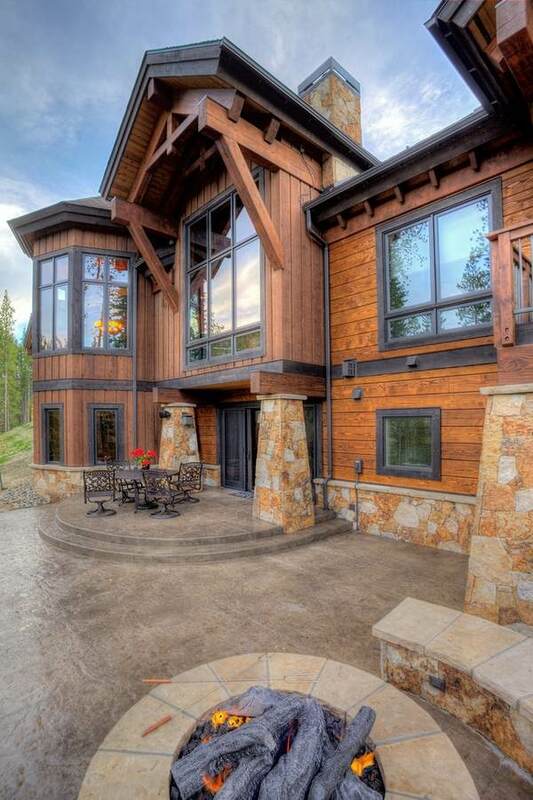 A specific combination of elements provides a successful end result. 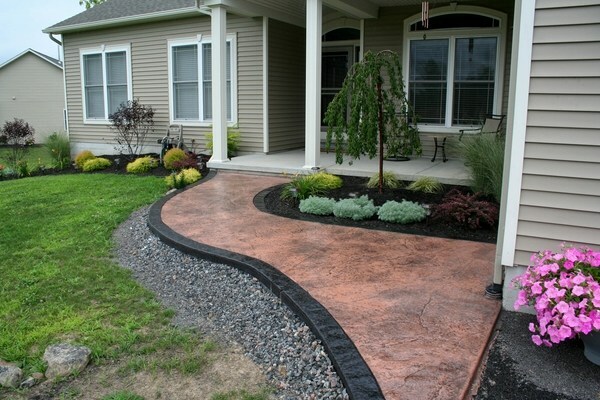 There are many colors, textures and finishes available and the right process is very important but you can be certain that your exterior will have a great look and is a cost effective investment. 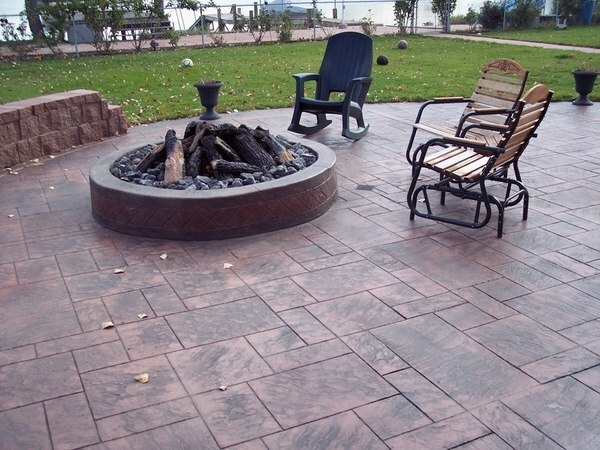 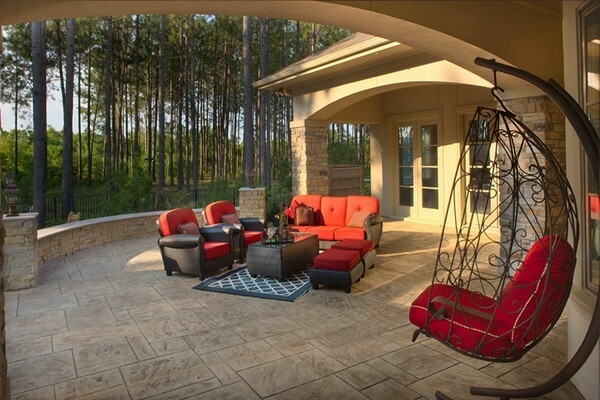 A colored and stamped concrete patio flooring is especially suitable for outdoor entertaining areas, outdoor kitchens or firepit surrounds. 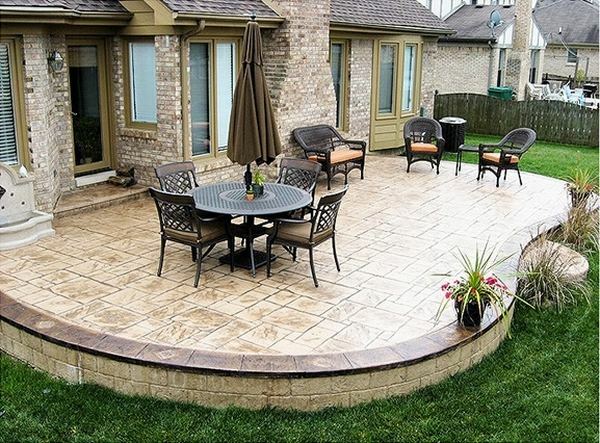 This type of flooring really gives a high end look of the patio imitating natural stone or pavers, but at a much lower price. 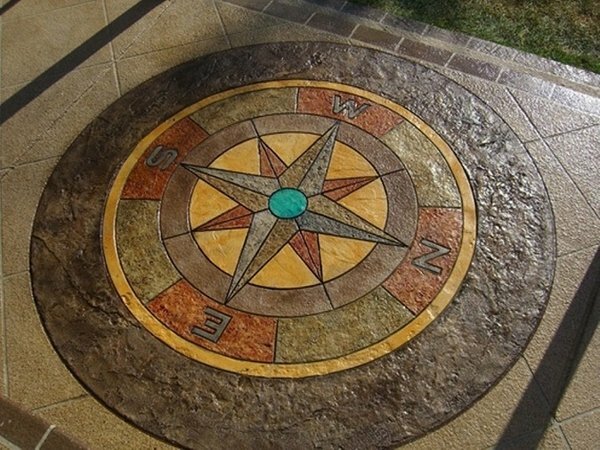 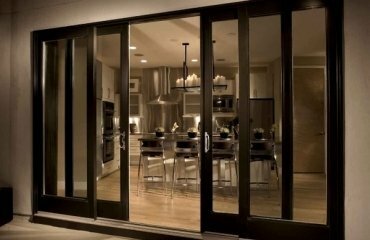 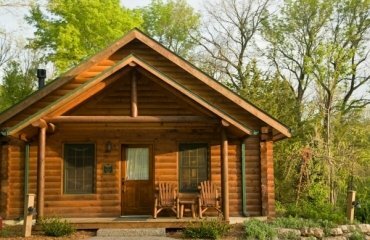 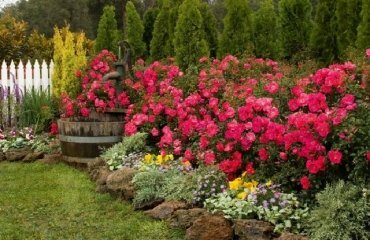 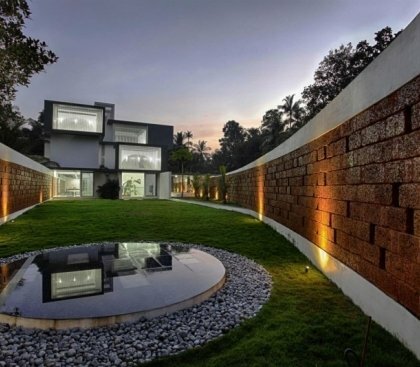 The decorative options are numerous and you can have a customized design which will complement the style of your house. 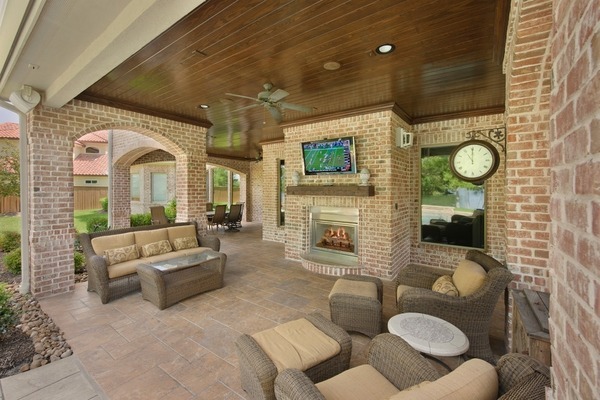 Whether you opt for brick patterns, different stone patterns or even wood wood-grained textures will depend on your taste and on the desired visual effect.